Finally! I published my Wealthy Affiliate Review. It took me too long to complete and it still is not perfect far from it. I talked myself out of this task even though my goals required that I should. I am not sure if I am the only one who suffered with this dilemma. All I can say is to help yourself, RELEASE YOUR INNER BRAKES. It’s like giving yourself permission to fly and ultimately getting things done because of your commitment to achieve specific goals. Trust me when I say that overthinking something can prevent you from moving forward. Yes, I know it is ridiculous. But, let’s face it together. It happens. Stay with me and I ‘ll tell you what happened to me. Was it a fiasco planned? Yes, but it was not my intention for it to be so. 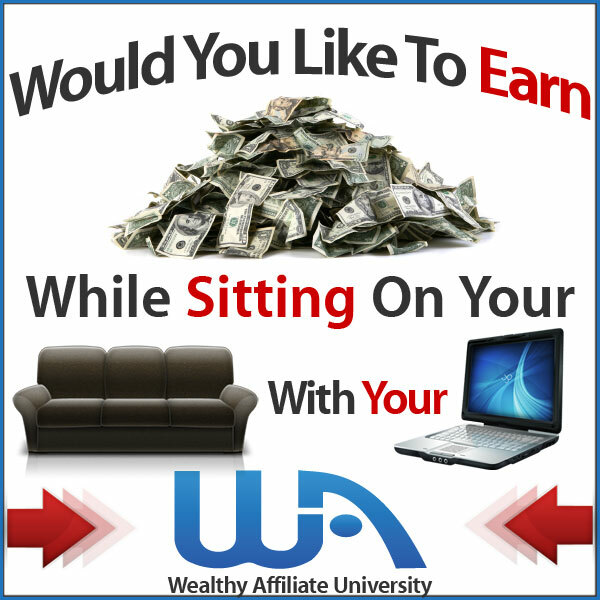 I futured my thoughts and envisioned myself where I wanted to be with Wealthy Affiliate. To achieve my goals, I embraced the concept of putting all content for Wealthy Affiliate and Health on ONE WEBSITE. I was moving with the idea that nothing is impossible. But, what seems impossible is very difficult to achieve. Right? Because my health site was already getting traffic, I was going to promote Wealthy Affiliate to get to my readers faster. At least, that’s what I thought could happen. Then a question came to mind: Do you do finances through a health center? No, it is not a normal occurrence. 1. People are not coming to my health site to read content about Wealthy Affiliate. They need help with their health. And vice versa, when they come here, they will get help with how to avoid scams. 2. To become an authority, Wealthy Affiliate needs to be promoted on its own MMO website, whether it is siterubix.com or your domain.com. It better for business purposes all around. 3. Writing product reviews for Wealthy Affiliate competitors would lose value on other sites. 4. The Affiliate Disclosure and Affiliate Disclaimers are two very different legal documents. As a premium member, I have access to 50 domains. It did not make sense to make things more difficult than it needed to be. So, that’s why I am encouraging you to RELEASE YOUR INNER BRAKES as I did to see a clearer path with Wealthy Affiliate and other areas in your life. March 14, 2019 I purchased my 1st MMO site which is myroyalwealth.com with $15 made from training commissions at Wealthy Affiliate. I put my commissions back into the business to keep it going. The reality that I am an online business owner of 2 great websites gives me fuel to move forward. This time I am not second guessing the Affiliate Bootcamp training again. I am hoping that taking the time to talk about what happened to me could help someone. We talked about how overthinking a simple task could prevent progress as well as unhealthy thought out ideas. Two months of my life was filled with distraction after distraction. Until, I just got my Wealthy Affiliate Review done. When in training, the point is to stay on track because this is a proven path and it should not be second guessed. Just do it! Now, that I am back on track with Affiliate Bootcamp, my intention is to follow the training with Kyle as long as it takes me to get it done. That why you need to RELEASE YOUR INNER BRAKES as you join this WA journey to success.